Here’s a little picture comparison between the Aimpoint Micro H-1 and Bushnell TRS-25 micro red dots. The first image depicts the difference in light transmission: cheaper TRS-25 filters a lot wider band of red, resulting in a very bluish image through the sight where the Micro H-1 appears almost natural. 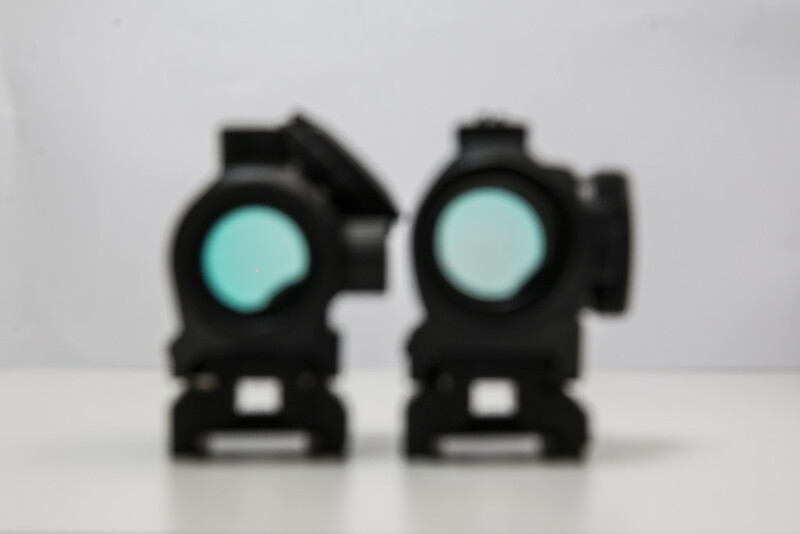 The dot is actually projected on quite different focus range than the actual lens as you are meant to focus the dot on targets, not on the sight body. This appears as a problem only when taking pictures of the sight and dot..
With short DoF, the dots are formed by bokeh, as they are bright and “far away”. Long DoF (50mm/22), focused 20cm behind the dials. The lens color difference can be seen quite well. The dots are standing risers to match the height on the table and depict the different heights. 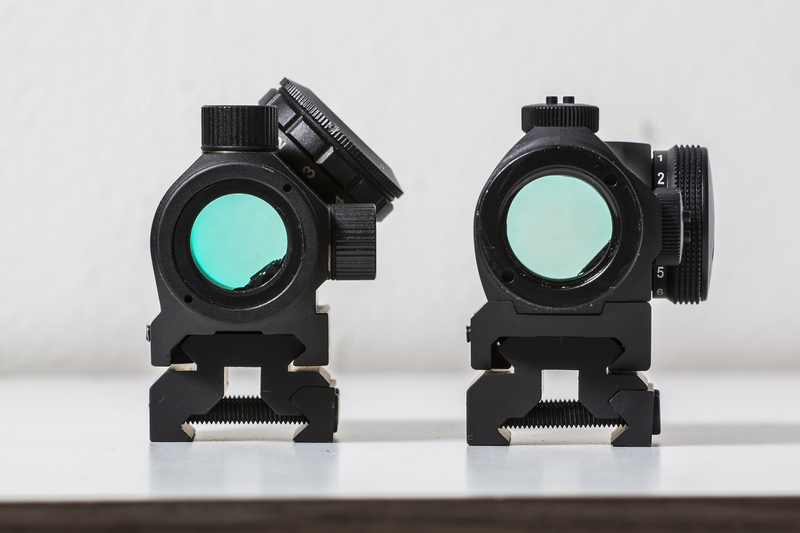 With the default weaver mount on Aimpoint, the lens is around 3mm higher from the top of the rail, than the Bushnell with integrated rail-mount. 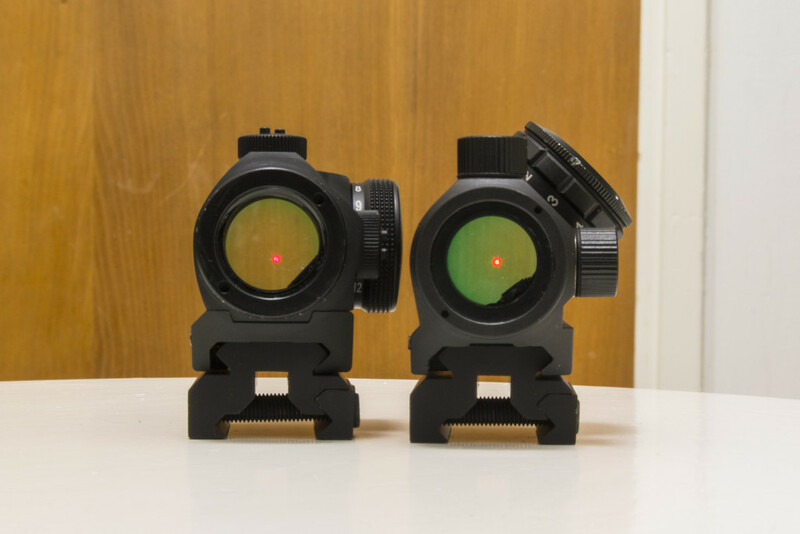 Although the weaver base on Aimpoint is removable for lower profile mounting. 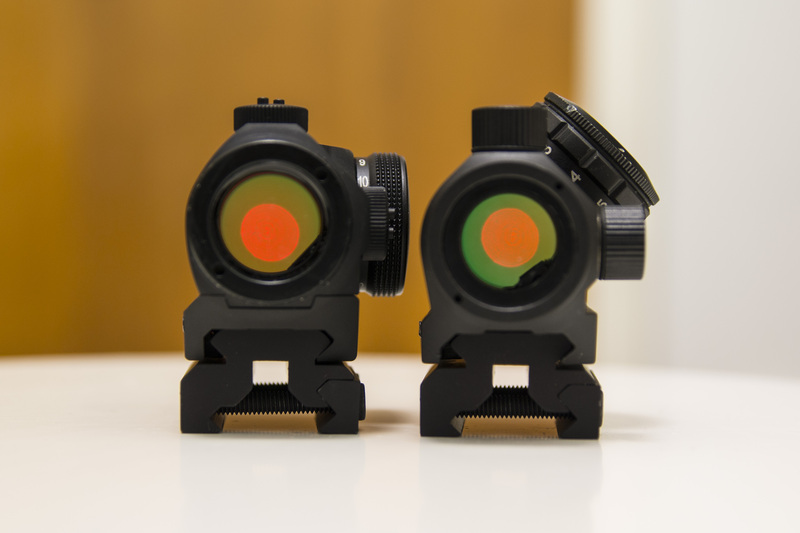 Why do you choose that type of micro and bushnell to get comparison?